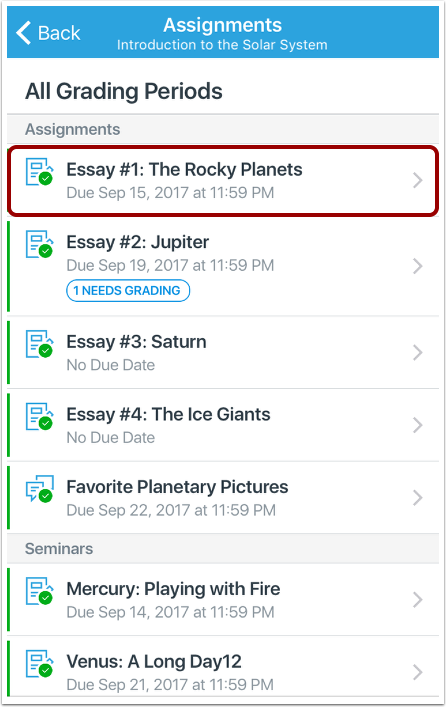 How do I message students about assignment submissions in the Teacher app on my iOS device? 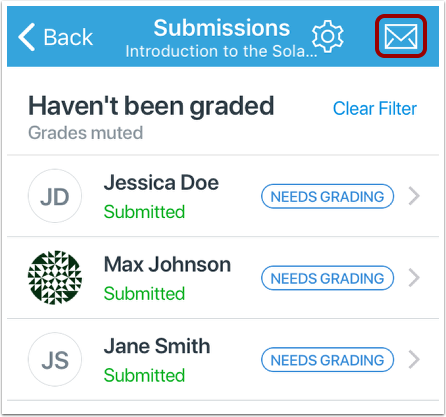 In the Teacher app, you can message students about their submissions based on the filter set for the assignment. 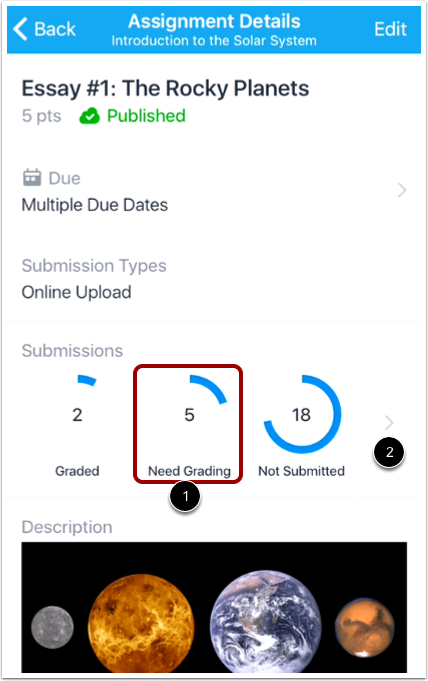 You can send messages to all students, students with late submissions, students who have not submitted a submission, students whose submissions have not been graded, students whose submissions have been graded, students who received a score less than a specific value, and students who received a score greater than a specific value. 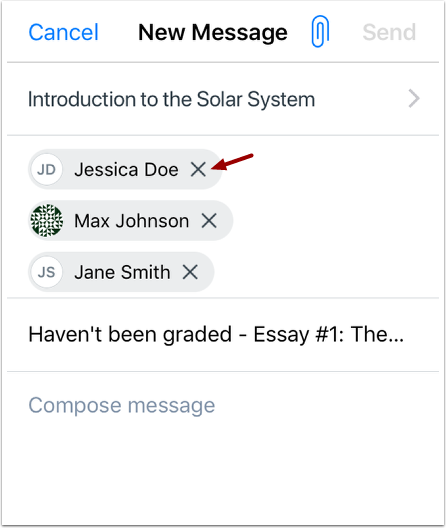 Messages are sent to students individually and display in the Conversations Inbox. The app will send a message to the filter selected in the app. If you want to filter submissions by one of the three submission types in the submissions page, tap the submission status . If you want to message a student by specific status, tap the Submissions link . To apply a specific filter, tap the Filter link . Tap the type of filter you want to apply . 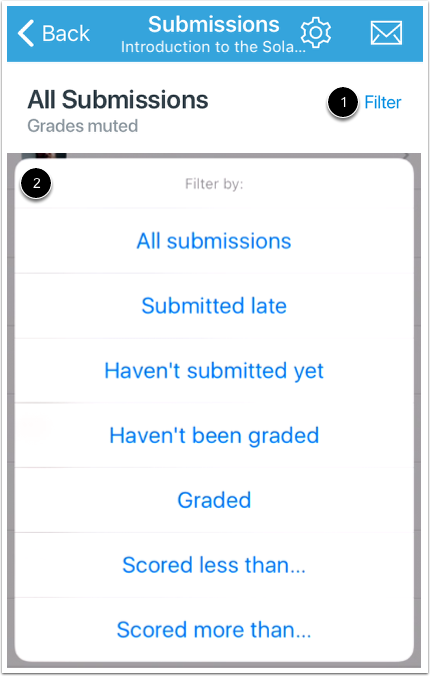 You can filter submissions by all submissions, late submissions, students who have not submitted, submissions that have not been graded, graded submissions, submissions with a score less than a specific value, and submissions with a score greater than a specific value. You can view the list of recipients for the message. If you want to manually remove any recipients, tap the Remove icon. 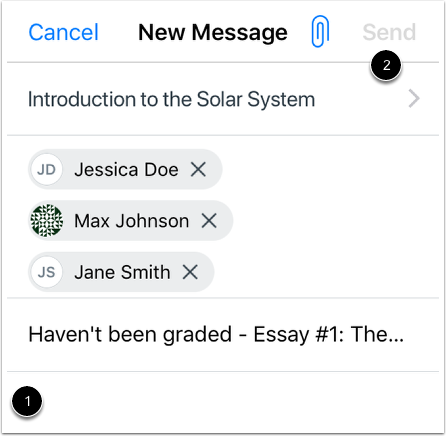 In the text field , type your message. When you are finished, tap the Send link . Note: Messages are sent to students individually. 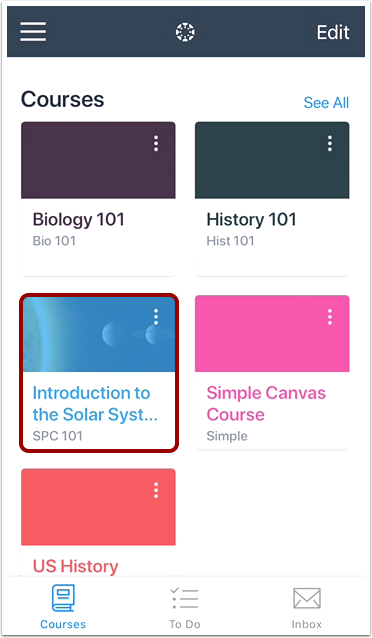 Previous Topic:How do I add a video comment to an assignment submission in the Teacher app on my iOS device? Next Topic:How do I view Discussions in the Teacher app on my iOS device? 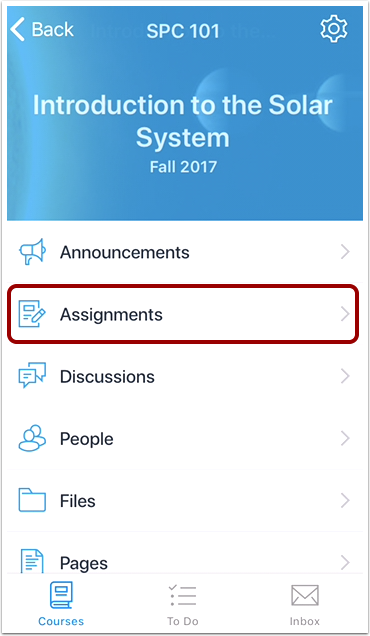 Table of Contents > Courses > How do I message students about assignment submissions in the Teacher app on my iOS device?